Where is the Showtime Poster in Fortnite? The Showtime challenges have just dropped in Epic’s seminal battle royale experience, and you’ve got three extra challenges to complete alongside your normal weekly tasks. The first of which asks you to search a Fortnite Showtime Poster. Epic Games are teaming up with DJ Marshmello for the special in-game event that will culminate in a special ‘performance’. In other words, he’ll be playing a set in the sleepy but surprisingly violent ‘burb of Pleasant Park. Of course, we’ll also be celebrating with another set of special Fortnite Showtime challenges. After this one, the rest will unlock in 24 hours, and so on. This latest event also has plenty of goodies such as rave-flavoured emotes such as ‘Keep it Mello’ and even more Fortnite skins to show off. 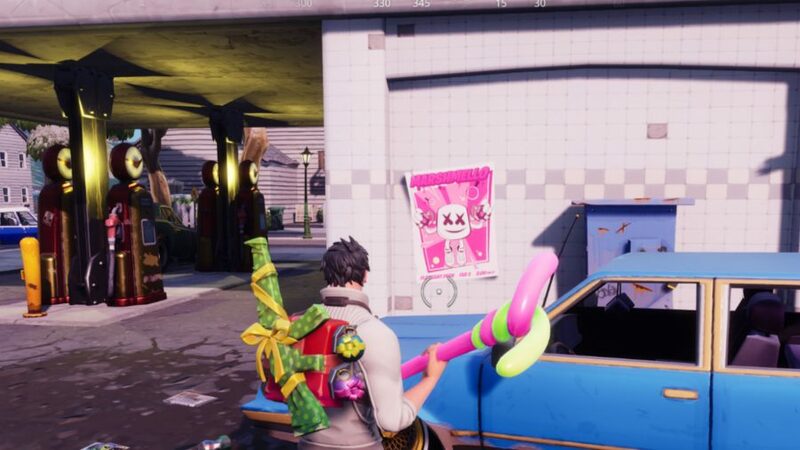 There are some great new cosmetics to add to your collection, but we’re going to start with the new Marshmello spray, your reward for completing the first Showtime challenge. 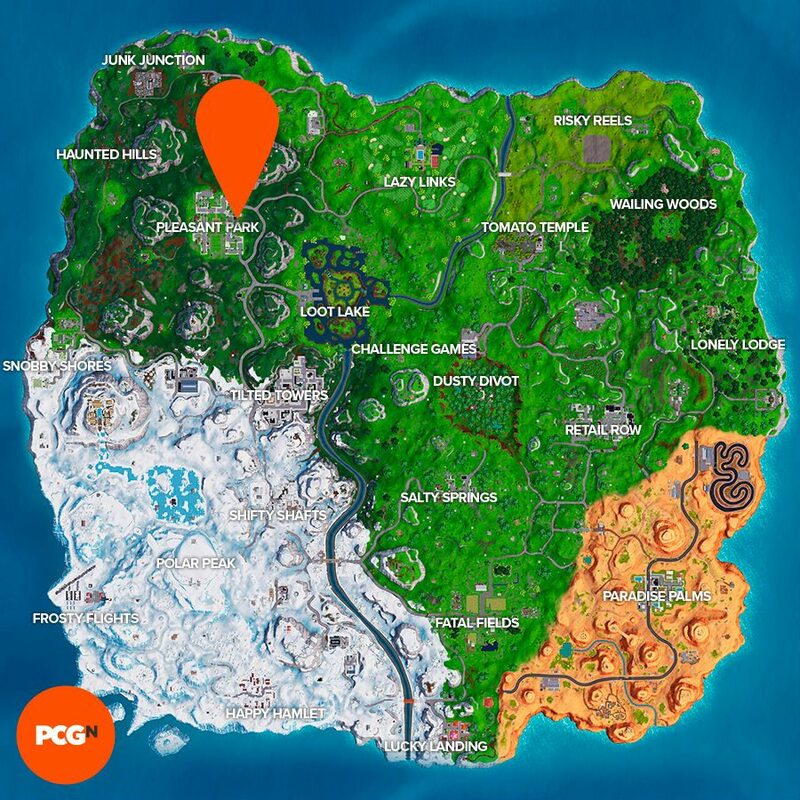 So, without further ado, here’s where to search a Fortnite Showtime Poster. 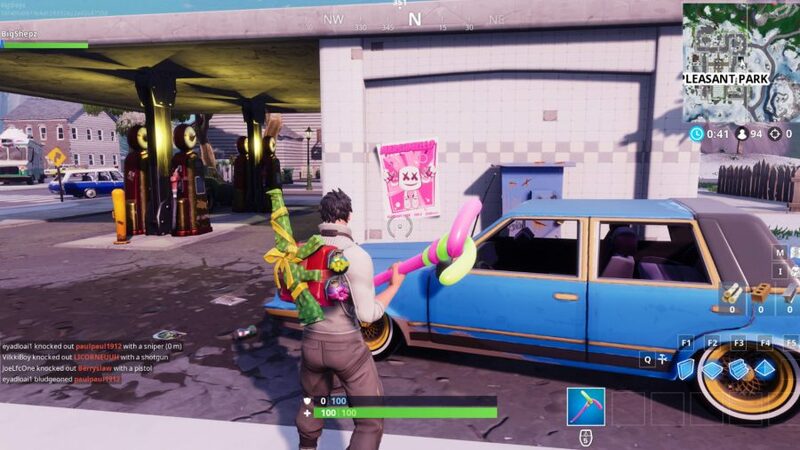 The Fortnite Showtime Poster can be found in the same named area as the stage for Marshmello’s gig: Pleasant Park. One of the posters is stuck on the side of this area’s petrol station. If you’re not sure where that is, take a look at our map below. By the way, there are more posters than just this one – there’s some more in Pleasant Park and Fatal Fields, at least – but you only need to search one to complete the challenge. And there’s more when we get to your normal season 7, week 9 challenges: here’s how to complete three Fortnite Stormwing timed trials, and where to pop ten Fortnite golden balloons. For now, we join you in counting down the days to the next big in-game gig, and for more lovely Fortnite challenges, of course.